Sergey Sirotkin is a rookie Russian formula one driver currently racing for Williams F1 team.He is the second F1 driver from Russia, the first one being Vitaly Petrov who has retired from F1. He has been with Williams since 2013 as a test driver. He signed a contract with the team for 2018 F1 season. Sirotkin started his career Karting in International karting series and was in the KF2 category in 2010. He moved to the Italian series Formula Abarth which were single seater racing cars for the Jenzer Motorsport team. Sirotkin finished 18th in his debut season. Jenzer retained Sergey for the 2011 season but he switched to Fortec backed Euronova Racing midway through the season and winning the European division by taking 5 podium finishes off 14 through the season. He remained with Euronova for 2012 but went on to race in the Auto GP World Series. He made quite a sensation in the AGP series by breaking lap records and having a racing rivalry with Adrian Quaife-Hobbs who had many wheel to wheel moments and defeating each other by hundredths of seconds in time difference. He scored his first pole position in the year and had his first top 3 finish at 3rd place at the end of the season in the overall drivers championship. Sergey simultaneously participated in the Formula Three series in 2012 Italian season while still driving for Euronova and ultimately finishing fifth in the drivers championship. BVM Target Team acquired him to drive for their Formula Renault 3.5 team in the 2012 season and finishing in 20th for the first race and retiring from the second race due to issues with the car. Sirotkin joined Sauber F1 team in 2013 where he remained a test driver with hopes of joining the team as a permanent driver.He went on to race in the Formula Renault 3.5 full fledged after ISR Racing acquired him. He finished ninth in the championship briefly before moving to Fortec Motorsport in 2014 where he finished a lot better in 5th position comparatively. Sauber retained Sergey has their test driver for the 2014 season as well. 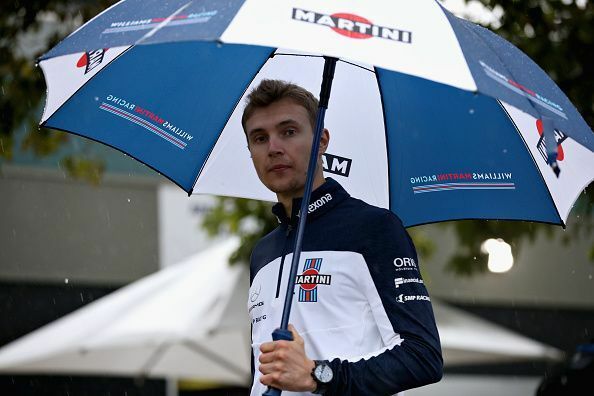 Sirotkin switched to GP2 Series for 2015 and was set to race for Rapax and was a rookie who finished GP2 Series on the podium at Third place in the overall drivers championship. The Russian left Rapax to drive for ART Grand Prix briefly before finishing third again in the drivers championship with the new team after having a few double podiums along with a lot of issues, crashes and penalties being awarded to his timing. During this time, Sergey got taken onboard the Renault F1 Team as a development and test driver for their F1 Team before becoming their Reserve driver in 2017. Sergey drove in the 24 Hours of LeMans in the LMP2 category for Dallara Gibson where him and his Russian teammates finished 16th Overall. He test drove for the Williams at Abu Dhabi after finishing the season for a day and a half and impressed the team before they selected Sergey to drive alongside Lance Stroll. Claire Williams to Walk Away from F1? Formula 1 2014: What’s new? What next for Sergio Perez?